The exceptional richness of The Dalmore spirit benefits from slightly longer maturation than is typically practiced in Scotland. So the youngest expression is bottled only after twelve years, rather than the more usual ten. The Master Blender, with some four decades of expertise, has discovered that the complex spirit from the stills is too rich to be tamed by a single style of cask. He favours fusing together the sweet, vanilla rich whiskies from ex bourbon barrels with the aromatic, spicy and dried fruits characters from sherry casks from Spain. 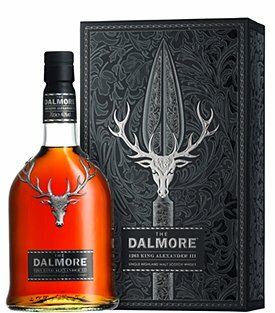 In this, the entry level expression Dalmore have sought balance and richness by selecting malts in a 50:50 recipe – 50% from ex bourbon barrels and 50% from ex sherry butts. 40 Year Old with two additional maturations, Oloroso and Amoroso sherry. With a stunning view across the Cromarty Firth over to the Black Isle, There stands the Dalmore Distillery. Pure, clean water taken from the local River Alness is used to create The Dalmore in the time-honoured way, and the small band of stillmen who run the distillery, originate from a handful of local families, who work together in creating one of the finest of Scotch Malt Whiskies. This experience, craft and pride in their work, ensures that Dalmore’s unique character and quality never falters – it remains a classic Highland malt. 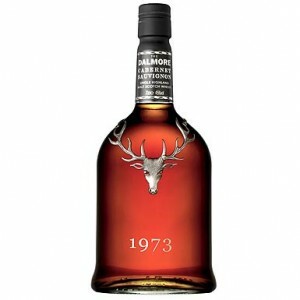 The Story Behind the Stag on every bottle of Dalmore. 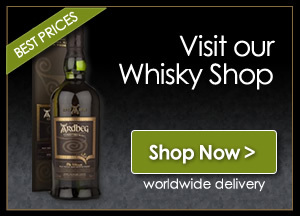 The Worlds Most Expensive Whisky Round. Dalmore the worlds most expensive Whisky Round. In May 2005 in a hotel in England, a businessman paid £32,000.00 for a rare Dalmore 62 Year Old Single Highland Malt Scotch Whisky. After purchasing the rare bottle of Dalmore he then consumed it with some friends, he even gave the lucky bar manager a glass. This is the most expensive we have heard of to date. What happened to the guy who had the honour of getting in the next round. Well the above certainly tells you all about Dalmore but we suggest you visit their website for all the information you might need, including tasting notes, ( The Whisky Boys tastings will be posted at a later date, canny wait) We don’t think that Dalmore is readily available in all supermarkets but they are all out there.